This course is a designed to build basic video production principles. This course will incorporate both studio and field production techniques using both analog and digital technology. Using lectures, screenings and hands-on labs, students will gain a more in-depth understanding of video production and the business of video production. Students gain production experience working individually and in groups. 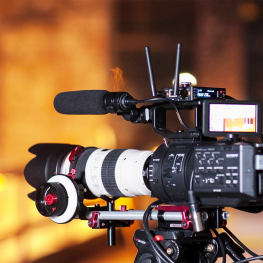 Technical and aesthetic aspects of scripting, lighting, camera work, continuity, post production editing, logistics and budgeting will be incorporated into this course. Internship: Two Months Internship in media industry.